The deal that Coral offer new customers is actually one of the most generous signup offers we feature. It's basically bet £5, get £20 - a 400% bonus on your first bet! To claim the Coral signup offer simply register a new account at Coral.co.uk today and deposit just £5 into it. Next, simply use the credit in your account to place a bet of at least £5. 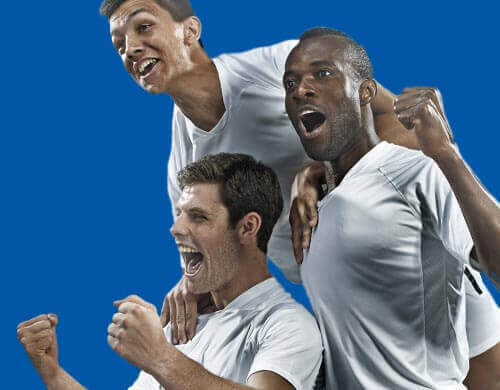 As soon as you've placed the bet, your new account will immediately be credited with 4 x £5 free bets that can be used on any of the sports betting markets that Coral offer. 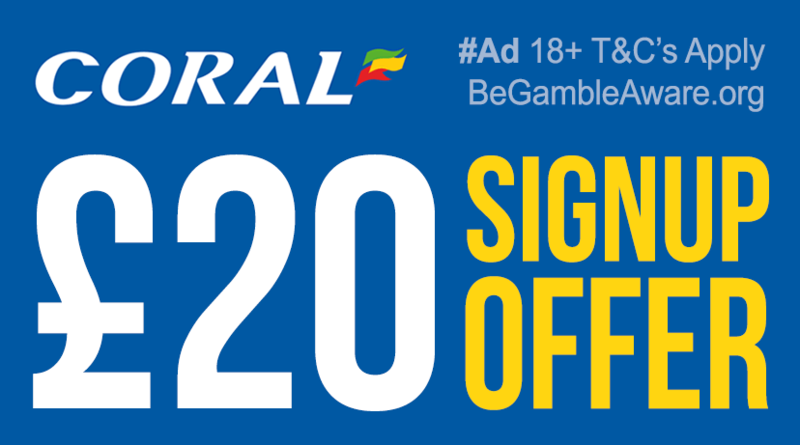 Claim Coral's new customer offer of bet £5 get £20 before they withdraw the amazing offer! So, if you're considering signing up for a new sports betting account with Coral then make sure you claim the bonus bet that Coral offer new signups!